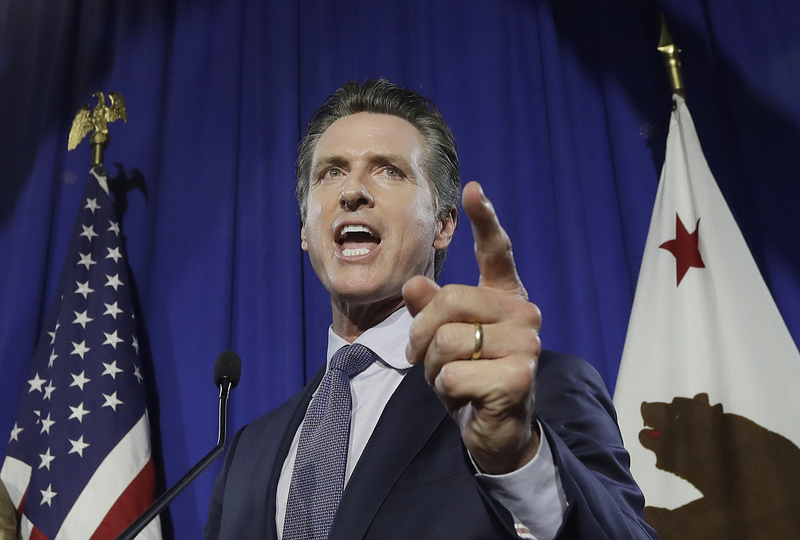 SACRAMENTO, Calif. (CN) – With the fate of a mammoth new statewide tax hike on gasoline and keys to the governor’s mansion on the line, California’s record 19 million registered voters face a loaded midterm ballot. Along with several high-profile congressional races that could decide which party takes over the House, Californians have the opportunity to repeal a $50 billion transportation tax package, greenlight new rent control laws, ditch daylight saving and pick a U.S. senator and new governor. Since the June primary, an infusion of cash has flowed into the midterms, most notably toward the 11 statewide propositions. Special interest groups and wealthy donors have contributed over $347 million to and against the assorted measures, stuffing Golden State mailboxes and airwaves with campaign propaganda. 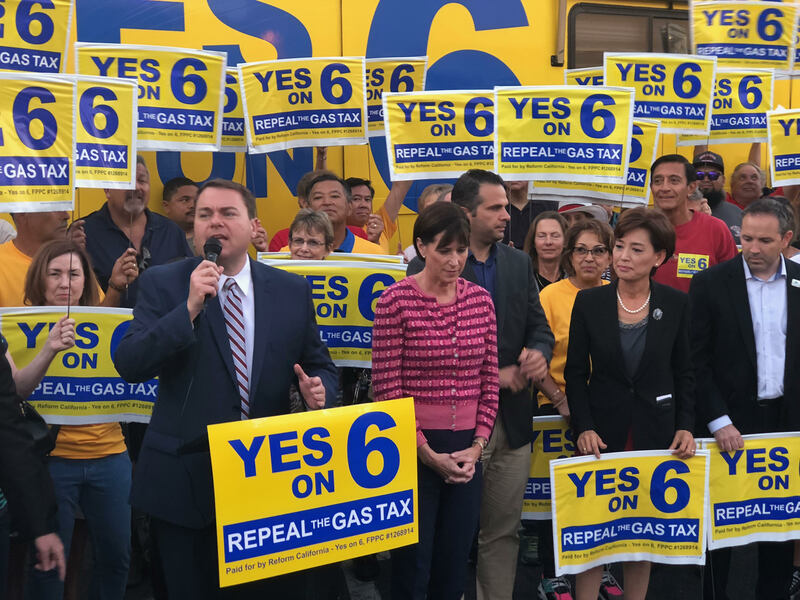 Voters have the chance to create immediate relief at the gas pumps through Proposition 6, which would nix Gov. Jerry Brown’s 2017 transportation package less affectionately known as the gas tax. The Legislature approved the tax just eight days after Brown introduced it, prompting criticism the $52 billion package was fast-tracked by state Democrats without enough public input. The fourth-term governor drummed up just enough support within the Legislature to clear a two-thirds majority requirement for new taxes by promising skeptical lawmakers funding for infrastructure projects. On the other side, Republicans are using Proposition 6 as a rallying cry. The California Republican Party, which now has fewer registered voters than Democrats and independents, hopes the repeal effort draws conservatives to vote in the gubernatorial and congressional races. Underdog Republican gubernatorial candidate John Cox is one of the main donors to Proposition 6, along with the California Republican Party and the Howard Jarvis Taxpayers Association. The proponents contend state Attorney General Xavier Becerra’s office gave the measure a misleading ballot title and description and are threatening to recall Becerra, a Democrat, if he’s re-elected. Wesley Hussey, an associate professor of government at California State University, Sacramento, says Cox and the supporters got “saddled with a really bulky, not favorable initiative description,” and essentially ran out of Republican donors. “It’s California and the Democrats dominate, and there’s not a lot of Republican money left to support things,” Hussey said in an interview. The proposition’s opponents hold a decided fundraising advantage, gathering over $32 million compared to the Yes campaign’s $4.7 million. Recent polling by the Public Policy Institute of California predicts defeat for Proposition 6, with just 41 percent of likely voters saying they would vote for the repeal. Donors are also emptying their wallets on another initiative that promises to alleviate California’s housing shortage by allowing municipalities to enact new rent control laws. Proposition 10 campaigns have eclipsed the $100 million mark since the measure qualified for the state ballot last June, making the rent control fight one of the most expensive propositions in state history. Backers, including the AIDS Healthcare Foundation and its founder Michael Weinstein, have been outspent nearly 3 to 1 by a coalition of apartment building owners and real estate companies. 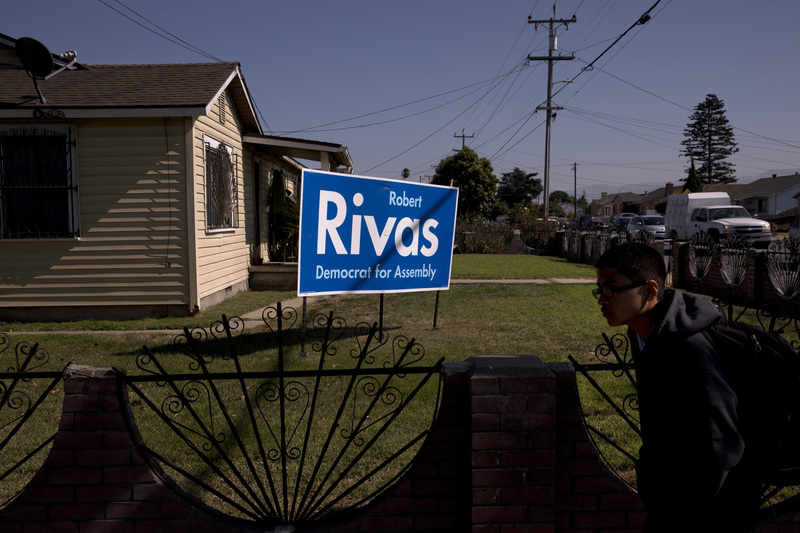 If approved by voters, the measure would repeal the 1995 Costa-Hawkins Rental Housing Act which prohibited cities from enacting new rent control. Cities and counties would then be able to propose and pass restrictions on rent hikes. Critics claim the path to fixing the Golden State’s crisis is by increasing the housing supply and that increased rent control could hurt municipalities’ bottom lines. They point to the state’s legislative analyst’s prediction of “potential net reduction in state and local revenues of tens of millions of dollars per year in the long term” if the measure passes. Sacramento homeowner and state employee Jake Simon, 27, believes Proposition 10 is by far the most important issue on the statewide ballot. He says skyrocketing rents have put thousands on the street in the state capital and landlords and commercial properties have no reason to stop increasing rent. The registered Green Party voter is in favor of the measure and giving power over rent control back to local governments. Hoping to give the rent control effort a boost – recent polls paint the measure as a longshot – U.S. Sen. Bernie Sanders of Vermont endorsed Proposition 10 during a campaign stop in California last month. “Municipalities should have the freedom to deal with the decline in affordable housing and rising rents. Let’s pass Prop. 10,” Sanders said in a tweet. Other statewide initiatives include whether to start the process of ending daylight saving time, an $8.9 billion water bond, affordable housing and mental health bonds, increased size requirements for farm animal cages, limiting dialysis clinics’ profits and uninterrupted lunch breaks for ambulance crews. State Republicans claimed a major victory this past June when Cox emerged out of a deep primary field headlined by experienced Democratic candidates to finish second in California’s top-two primary. The Trump-endorsed Cox finished behind Democrat Gavin Newsom in the gubernatorial race, setting up a Democrat-versus-Republican showdown at the top of the ballot. Facing a massive fundraising deficit, Cox trails current Lt. Gov. Newsom by 11 points according to the PPIC’s October poll. Hussey, who teaches government and political science, says the race is “very cut and dry” in favor of the experienced Democrat. Simon, the Sacramento voter, says he’s not a major Newsom fan but will reluctantly vote for the former San Francisco mayor. “It was pretty clear that Gavin would be the next governor as far back as three years ago. I’ve never doubted that he’s going to win,” Simon said. 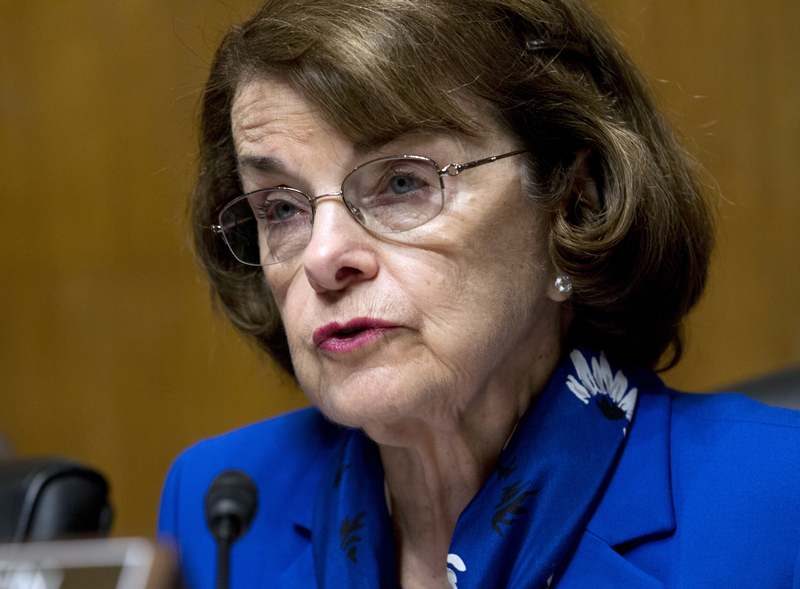 Like Newsom, incumbent U.S. Sen. Dianne Feinstein has the financial and name-brand recognition over her opponent, fellow Democrat and state Sen. Kevin De Leon. Feinstein has raised nearly $20 million more than De Leon and polls have her with a double-digit lead. State elections officials hope the record-high voter registration will boost turnout after a dismal 2014 election season, where a historic low 42 percent of registered Californians voted in the November general election and just 25 percent participated in the June primary that year. California’s highest recorded turnout in a general election was 88.4 percent during the 1964 presidential election. Secretary of State Alex Padilla says voters are “energized and eager” to participate this year. “We have the highest total number of registered voters heading into a gubernatorial general election in state history. A record 75.81 percent of eligible Californians are now registered to vote,” Padilla said in a statement. Hussey cautions that the record numbers may not equal record turnout. “I don’t think we’re going to see record turnout, but we’ll probably see higher turnout than 2014,” Hussey said.